I came across an apt metaphor for change in schools a few months ago. 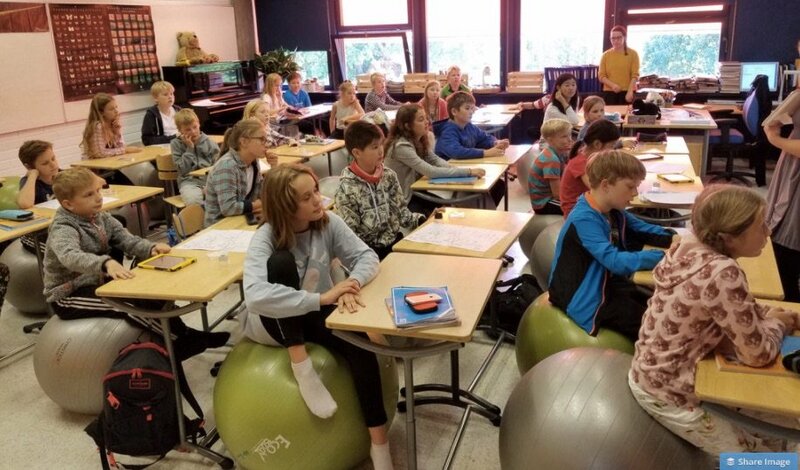 An administrator told me excitedly that they had been giving students some say in ways in which their classrooms were outfitted, and that one class had chosen to use yoga balls to sit on instead of the traditional hard plastic (or even wood) chairs that you normally see. It was all about creating innovative classroom environments were kids would enjoy learning more and be more engaged. When I turned the corner into the classroom, sure enough, smiling kids all peered up at me from their brightly colored yoga balls. Not quite what I had imagined I would see. Ever since then I’ve been looking for the YBIR (Yoga Balls in Rows) approach to classroom innovation, and it’s depressingly not hard to find. Most instances of Chromebooks, Google Classroom, iPads, smartphones suffer the same fate of taking potentially interesting technologies and “schoolifying” them. It’s window dressing that makes teachers, parents and others feel better about keeping up with times despite little complementary change in the power relationships between teachers and kids or choice given to students to have some increased agency over their learning. 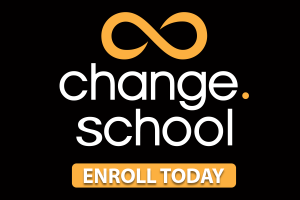 It’s the “palliative of cosmetic change” as Dee Hock refers to it where changing the way it looks allows us to carry on a little while longer without addressing the root cause of our educational angst. But here’s the deal: despite being more comfortable to sit on, at some point we’re going to have to let the yoga balls (et al.) make us more uncomfortable to our general existence. Because, as I’ve said many times before, “innovation” at it’s root is not about the thing, the seat, the computer, or the goggles. It’s about freedom and the breaking and rewriting of stories. It’s about unlearning the stuff that the innovation requires to unlearn. Without that, we stay static. We stay comfortable. And we become less relevant. Think about that in terms of the “materials,” or in this case, the yoga balls. I think Pratt would agree that providing yoga balls, Chromebooks or other “materials” to kids is a fundamental responsibility of schools, as long as they are used in the service of freeing the child to learn, to wrestle even more agency over the process. To make it about student learning and interest rather than better teaching. This unlearning, role switching, “innovation” redefining stuff is hard, I know. And we expend a whole bunch of time and treasure trying to avoid it. And the kids know it, by the way. I heard a great story recently from a mom whose son had come home and made the comment on his school day and school in general that “We have a lot of choices, but we don’t really have any choice.” (#micdrop) He gets it. And look, it is getting better. In small fits and starts, I’m seeing more unlearning around the old narrative and a revision that focuses on learning, not teaching. But in large part it still feels like we’re rearranging the yoga ball deck chairs as we’re headed for the iceberg. We’d better start charting a different course when it comes to change in school.